We’ve opened more than 134 Italian Restaurants across the UK. Our aim? to stand out from the crowd. Each restaurant is a little bit different with a distinctly local feel, thanks to our ‘fresh talent’ collective of up and coming artist who help to create a unique atmosphere and dining experience. A dish will always come recommended, be it an Italian classic, an artisan inspired gelato or a freshly prepared local favourite. 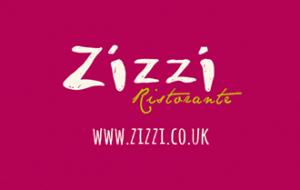 Zizzi currently has over 134 restaurants throughout the UK. Hand your Zizzi eGift to the waiter when ready to pay your bill. The waiter will re-key the code into their PDQ terminal. If the bill exceeds the value of the eGift the balance can be paid by cash or credit/debit card. If you have any remaining balance on this eGift you must keep your credit card receipt with this printout to present the next time you would like to use it. Any balance left on the card after this date will be deducted. The monies on this card cannot be exchanged for cash; the balance cannot be returned if lost or stolen. To check the remaining balance on your card call 0333 202 3647 or visit www.zizzi.co.uk Calls are charged at local rate. This card is not a credit, debit or cheque guarantee card. Zizzi reserves the right to amend these terms and conditions at any time or withdraw the card on reasonable notice. Your statutory rights are not affected. To benefit from special offers and promotions and for full terms and conditions, please visit www.zizzi.co.uk For customer services call 0333 202 3647.